While the Trump Administration’s attacks against women, immigrants, LGBT, and people of color continue, foundations and nonprofits are coming together to fund the resistance. The latest batch of grantmaking in this department: the Emergent Fund recently granted $330,000 to community-based organizations at the front lines of the resistance. 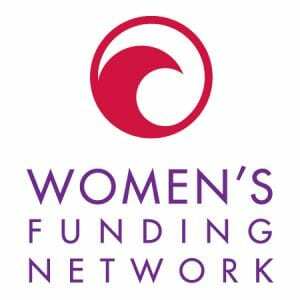 A project of Women Donors Network (WDN), Solidaire Network, and Threshold Foundation, the Emergent Fund is a way for donors to increase their ability to strategically collaborate, coordinate, and act quickly to support the movement. The fund seeks to supply communities and their allies with the resources they need to create the change our country needs to fight back against the dangerous policy goals of the Trump Administration. New York - The Emergent Fund -- a project of the Women Donors Network and Solidaire -- has announced $330,000 in rapid-response grants to community-based organizations empowering and organizing communities under attack by new Trump Administration Policies to fight back. The recently-created Emergent Fund also welcomed its newest partner this week, the Threshold Foundation, whose members have collectively pledged $180,000 to the fund. "With Muslim Americans under attack, black families being demonized and threatened, and millions of families facing deportation, we decided to focus this round of funding primarily on efforts to support communities being demonized, attacked, and torn apart by new policies under the Trump Administration," said Donna Hall, President of the Women Donors Network, one of the member networks of the Emergent Fund. “We created the Emergent Fund to boost organizations and people at the front lines of resistance. With families being torn apart by deportation and mass surveillance of activists becoming the new normal -- we want to get money to where it's needed fast,” said Leah Hunt-Hendrix of Solidaire. The Emergent Fund is a partnership between Solidaire Network, Women Donors Network, and Threshold Foundation to provide a way for individuals at all levels to contribute their money strategically in this critical moment -- providing fast funding in emergency moments to build real and lasting power. The Fund is governed by an Advisory Council made up of leaders who represent communities who will be most affected by the new administration including communities of color, immigrants, Muslim Americans, etc. Puente Human Rights Movement is grassroots migrant justice organization based in Phoenix. Puente has been a leader in the struggle for immigrant rights, including fights against former Sheriff Joe Arpaio and Arizona's 2010 racial profiling law. Puente will use their grant from the Emergent Fund to develop teams across Maricopa County that can respond to rapidly changing immigration policies and enforcement. They will combine grassroots organizing, legal defense, and communications strategies to respond to raids, stop deportations, and ultimately build political power in Arizona. Mijente is a hybrid digital and grassroots organizing hub that brings together Latinx and Chicanx changemakers across movements. 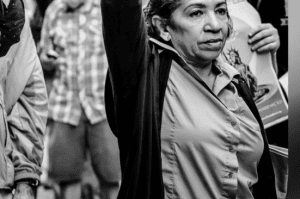 Originating from anti-deportation fights, Mijente has a proven record of integrating direct action, digital tools, communications, and cultural work with strong community partnerships. Mijente will use their Emergent Fund grant to launch a recruitment drive to help establish local organizing groups. In addition to their base-building work, they will develop curricula for community defense against deportations. As an undocumented immigrant-led organization, United We Dream’s first priority is to take care of their community. Already, thousands of undocumented immigrants, educators, and faith leaders have reached out to United We Dream with anxiety about the future. This environment is creating physical, mental, and emotional trauma in immigrant communities. The Emergent Fund support will enable United We Dream to expand and support local deportation defense teams, as well as expand United We Dream’s existing community communication tools, including a text-message alert system, "MigraWatch" Toll-Free Hotline to report ICE activity and get support, coalition building, legal support systems, and more. Texas is one of the the only states with massive numbers of DREAMers and undocumented immigrants that is not a Blue state. Unlike California, where the state government has made clear they will stand against Trump's proposals and orders, Texas is supporting and amplifying Trump's agenda. This is a life or death moment. That is why the Texas Organizing Project, the Workers Defense Project, and the Texas Civil Rights Project are teaming up to do massive immigrant defense across the state while continuing to educate, serve, mobilize, and organize to unleash the political power in these communities. In the first 100 days of the Trump administration, #BlackLivesMatter is piloting a rapid-response media training program for Black millennial leaders. Their aim is to position them as experts on primetime television, radio, and in print. BLM leaders see this program as a direct action, but one in which speaking out serves as an ideological disruption. Founded in 2014, MuslimARC has a two-fold mission: Train American Muslims on the value of racial justice work and address issues of anti-blackness within Muslim spaces; and train non-Muslims on critical anti-Islamophobia activism, including what the Muslim community needs from allies to effectively fight anti-Muslim hate. The Emergent Fund grant will help MuslimARC hire their two co-leaders on a full-time basis, thus increasing their capacity exponentially as we enter a critical moment in the fight against Islamophobia. MuslimARC's Executive Director, Namira Islam, was named as a citizen plaintiff in a new lawsuit being brought against the Trump Administration to fight against the Muslim ban. Activists have sought assistance in navigating and defending themselves against national surveillance from a largely unaccountable system. CMJ is one of few organizations led by people of color who have the expertise and trusted relationships to lead these kinds of trainings on a large scale. CMJ will use their Emergent Fund grant to kickstart their rapid-response capacity to deliver surveillance self-defense trainings to racial justice activists and organizations across the movement. Building progressive, mutli-racial, and multi-issue infrastructure in North Carolina is important to the success of our movements. That's why we are proud to support the Southern Vision Alliance, a statewide network made up of people of color, immigrants, youth, and queer activists. They focus on building solidarity, training leaders, and building a base in North Carolina. SVA will use their Emergent Fund grant to build capacity for each of the organizations in the alliance, including leadership development, base building, and strategy development. Grassroots Asians Rising is a new formation of grassroots Asian American and Pacific Islanders (AAPI) organizations to exchange and share best practices in organizing, civic engagement, and multi-racial coalition building. Together, they will: 1) conduct joint political education and leadership development for grassroots leaders and organizers; 2) experiment with community defense projects like “Hate Free Zones”; 3) coordinate rapid-response efforts; and 4) build civic engagement strategies locally and nationally. Grassroots Asians Rising will use their grant from the Emergent Fund for an upcoming strategy convening of over 200 AAPI organizers across the country. #ItTakesRoots is a joint initiative of Climate Justice Alliance (CJA), Grassroots Global Justice Alliance (GGJ), Indigenous Environmental Network (IEN), and Right to the City Alliance (RTTC). #GrowTheResistance, a new project borne out of long-time collaboration between these climate justice and place-based networks, uplifts the leadership of Indigenous, Latina, Black, Asian, and Arab women. #GrowtheResistance will use their Emergent Fund Grant to organize over 15 coordinated events and actions (including leading a delegation at the National People's Climate March), develop a common message as "defenders of the land, water, our homes and our bodies,” and host cross-sector strategy sessions across the country. The Emergent Fund proudly got its name and ethos from the brilliant mind of adrienne maree brown, an acclaimed writer and social justice facilitator. adrienne's wisdom, vision, and writings are helping to build the intellectual framework that is guiding movement leaders today.She will use her Emergent Fund grant to launch a series of convenings around the country filled with readings and workshops on emergent strategy: a way of being that encourages communities to invest in relationships, adaptation, interdependence, and honesty.